I sat on the beach and contemplated what meditation means to me. It’s silence. It’s release. It’s listening. It’s thinking. It’s being. The silence of meditation is like no other. It’s not actually silence. It’s stillness. It’s the open identity of what’s present when I’m not moving, not speaking, not focused on the goings on of the outside world. When I’m meditating I can hear the ocean. I can hear the mantra. I can hear the music. It’s not silent outside of me, but the focus is to be silent within. So I can hear myself think. Not the oh-I-have-so-much-to-do-today-I-better-get-it-all-together-in-my-head kind of thinking, but the who-am-I-being-in-this-moment kind of thinking. As the clouds stood their ground, refusing to let the sun peek onto my sandy shore, I closed my eyes and listened to the sound of birds chirping, chattering, chanting. The melodic sound of miniature waves whispered in the background and my body sat still. Eyes closed, legs crossed, mind clear. My eyes popped open, searching for a reason to close them again. None came. Instead, a slow breeze sent a rush of calming energy along the edge of the water, and even the birds stopped for a moment to take it all in. A voice spoke quietly, clearly: You are this moment. At first it felt like pressure, something to live up to or fall short of. That pressure melted away with a deep breath and more chatter from the birds enjoying breakfast and conversation twenty yards in front of me. I noticed my eyes wide open, a smile creeping up on my face, a deep breath taking itself down through my throat, my lungs, my belly. I have an expectation that meditation be immediately calming. That simply closing my eyes will clear my mind and instantaneously shift my perspective, leaving the stresses of life to simply fall away into a land that is no longer existent to those who meditate. Some days this expectation finds its way to reality. Others, it finds its way into the chaos swimming around my head that refuses to be cleared, no matter how many slow, deep breaths force themselves upon my lungs. In reality, meditating is like everything else in life; we have to work at it if we want it to work. 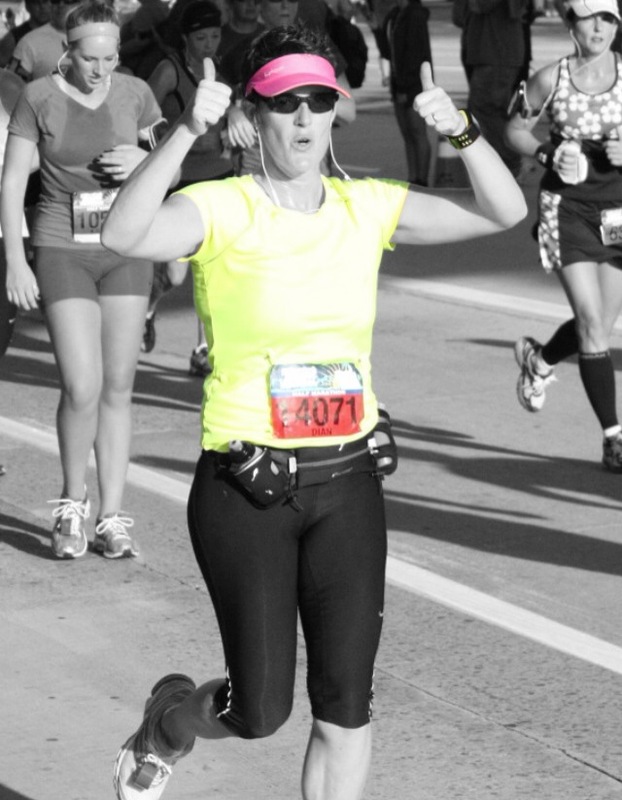 I ran my first half marathon in October of 2011. I trained for three months and went from barely being able to run single 11-minute-mile to running 13.1 miles at a near-11-minute-mile average pace. I kept at it, and less than a year later I finished another 13.1 miles at a near 10-minute-mile average pace, shaving almost 15 minutes off my overall time. Practice makes us better. Do I treat meditation the same way? I’ve been meditating on and off for years. Some days it’s so natural I could sit for an hour and barely notice the time pass. Other days I feel restless after only a few seconds. Each meditation is different, just like each run is different, just like each day is different. But if I want the benefits of meditating to take effect, I must be more consistent. Consistency makes us better, too. As I think about this expectation of meditation I have, I realize that it’s ludicrous. The expectation, I mean. It’s like working out one day and wondering why I don’t see six-pack abs the next. And then I remember … I am this moment.